Click the photos below to enlarge! 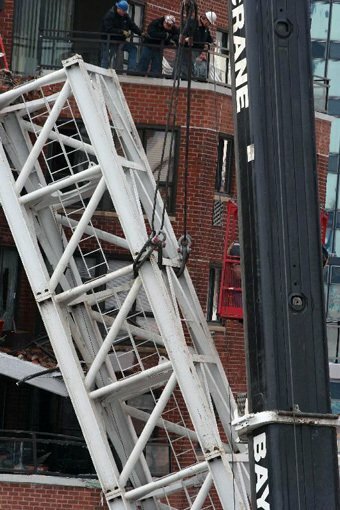 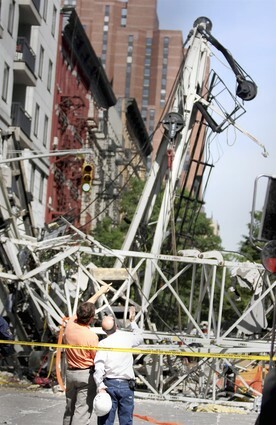 A large crane lies in an intersection on the Upper East Side after it collapsed Friday. 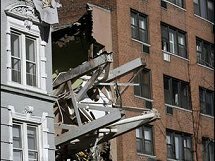 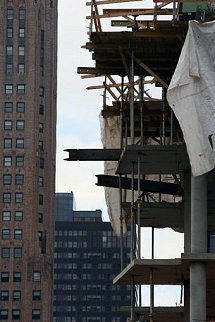 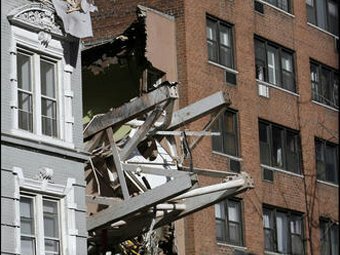 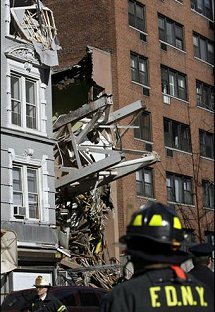 A top-floor apartment shows damage after a construction crane collapse on Manhattan's Upper East Side in New York on Friday. 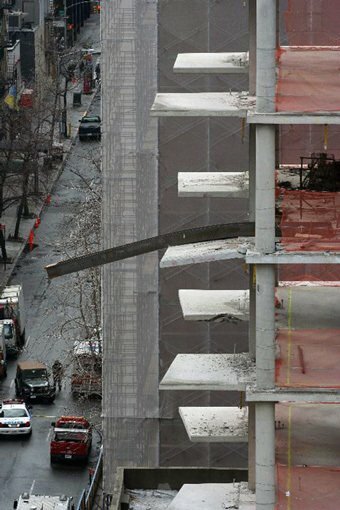 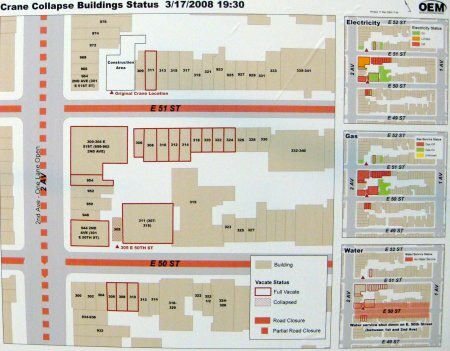 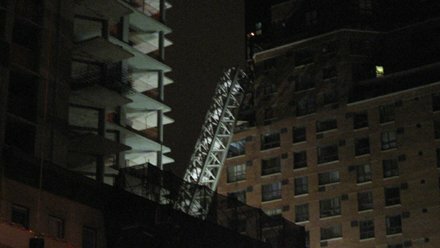 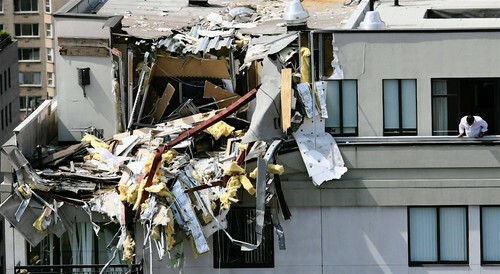 The crane smashed into a 23-story apartment building as it fell to the ground. 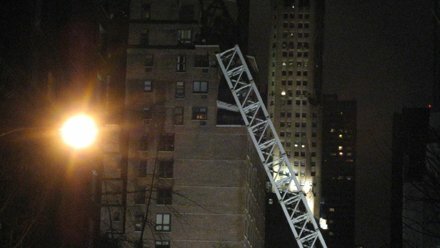 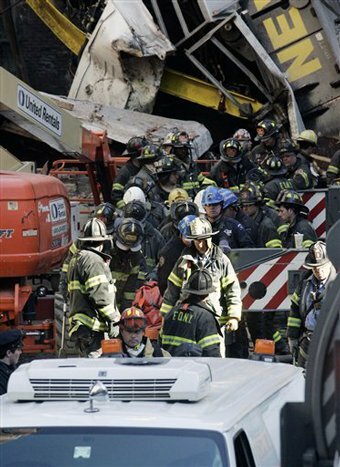 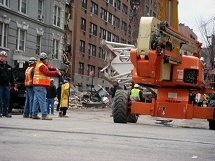 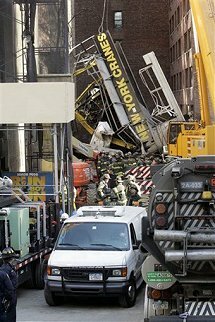 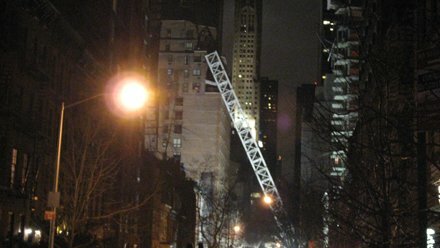 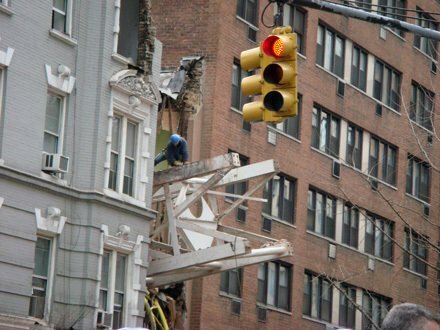 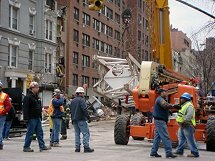 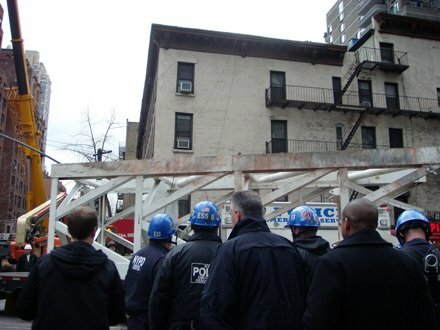 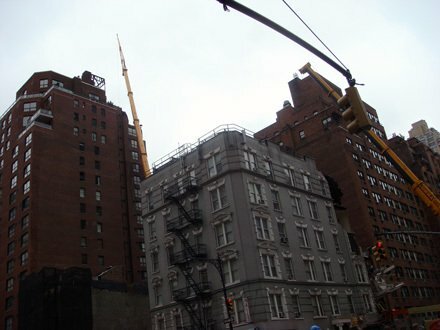 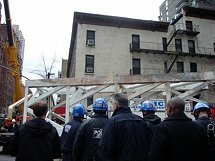 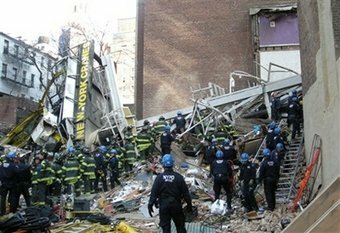 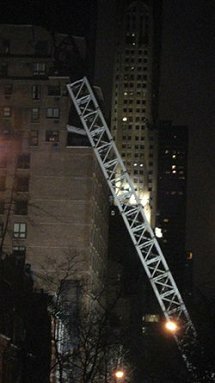 Officials stare up at the crane that collapsed on Manhattan's Upper East Side at 91st Street and 1st Avenue on Friday. Recovery workers lower the body of a construction worker killed April 30 atop a crane at Annapolis Towne Center construction site in Parole, Md. 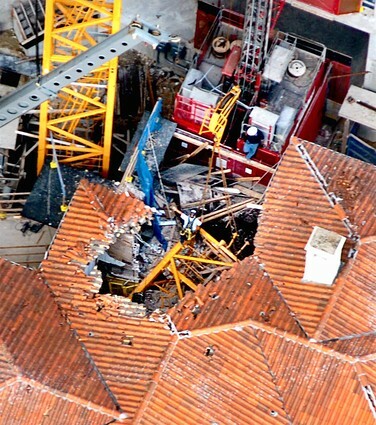 Workers try to remove parts of a crane that fell through the roof of a building in Miami on March 25, 2008. 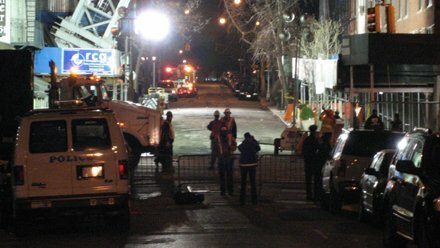 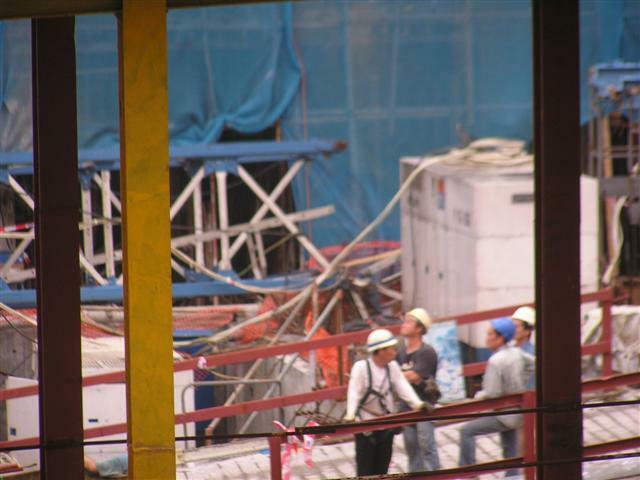 Two workers were killed, and at least five people were injured. 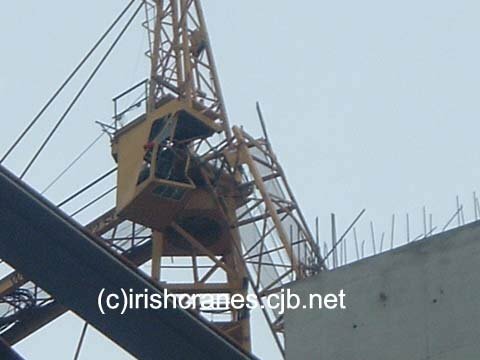 Early on the morning of Sunday 1st February, around 9am,a Wolff WK122SL tower crane partially collapsed. 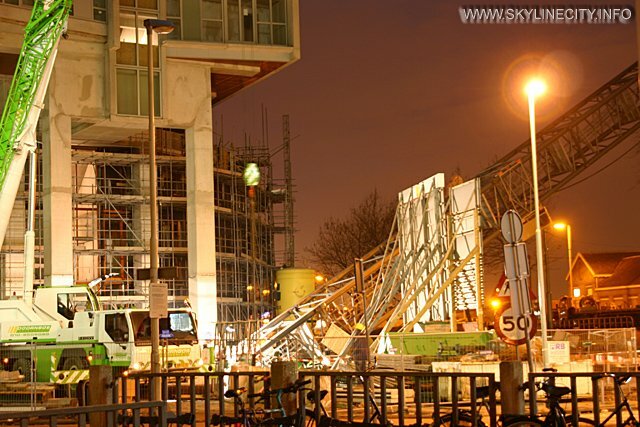 Fortunately the site was unoccupied at the time and nobody was injured but the results would have been catastrophic had the crane fallen onto a nearby suburban railway line or onto houses which are nearby .60 residents had to be evacuated as a safety measure and the railway line was closed creating commuter chaos. 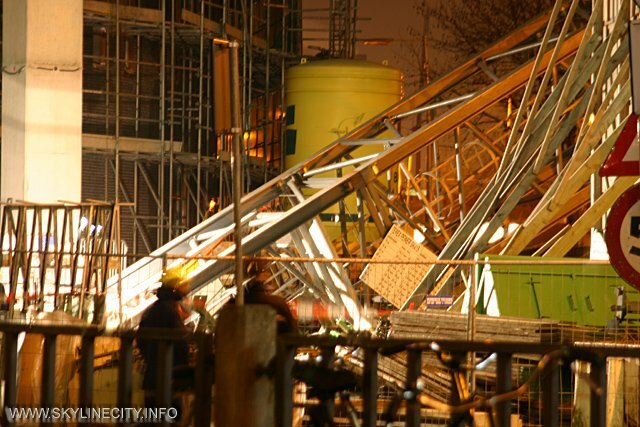 It is believed that high winds caused the tower crane’s jib to bend and snap, almost completely crushing the operator’s cab as it fell towards the ground. 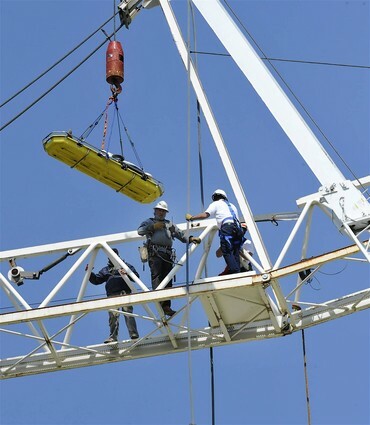 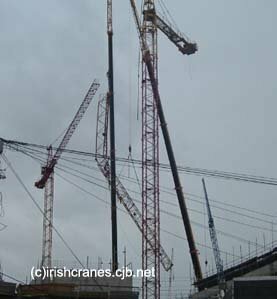 A single pendant connected both to the tower’s main mast and jib did, however, remain intact preventing the entire jib length from crashing down onto the job-site. Why the crane collapsed focuses on the cranes slew brake. 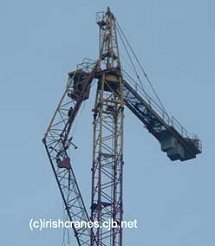 Typically, such cranes are left with free slew to allow the jib to rotate away form the prevailing wind and thus not catch its full force. Unconfirmed reports claimed that the brake had either been left on, or had somehow applied itself or jammed, thus preventing free slew and subjecting the jib to extreme side winds. 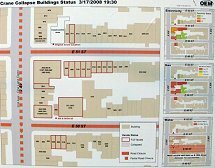 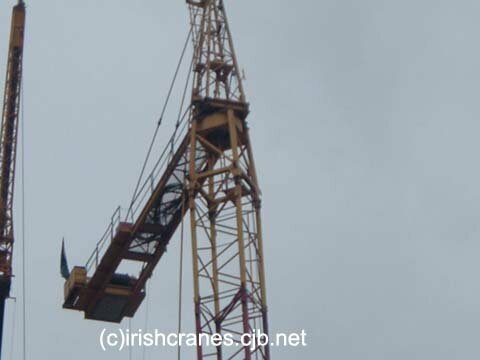 Recovery was almost ready to commence on Sunday evening, but then the Health and Safety Executive (HSE) stopped all activity as high winds had come in. 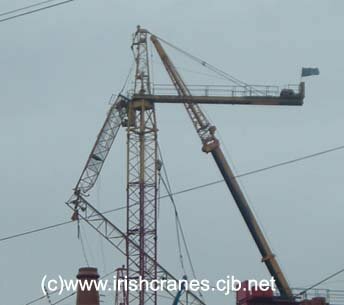 These winds did not drop until Friday, but to allow the railway line to reopen, and the evacuated residents back to their homes, the cranes ballast was removed and the main jib secured using a mobile crane on Tuesday evening. 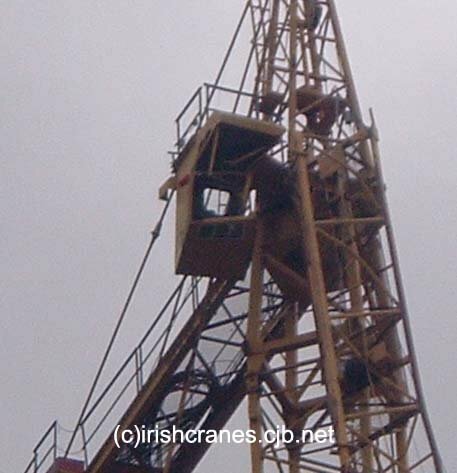 On Friday, the jib and the cranes cab were removed, the parts subjected to a full inspection. 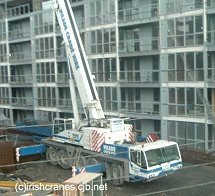 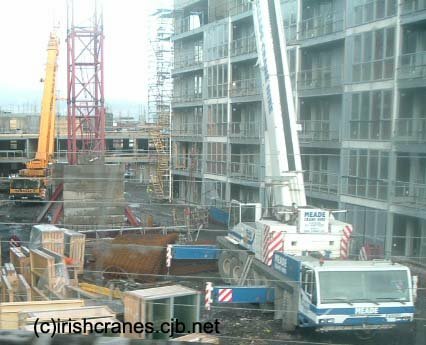 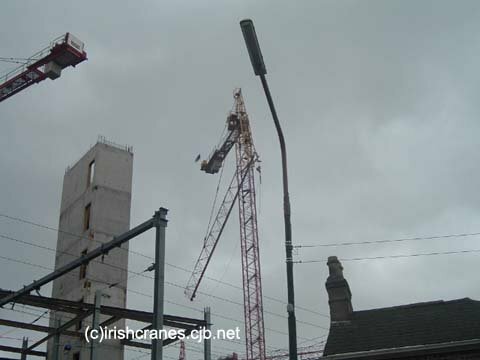 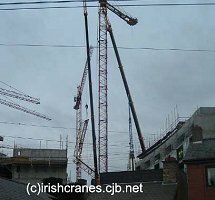 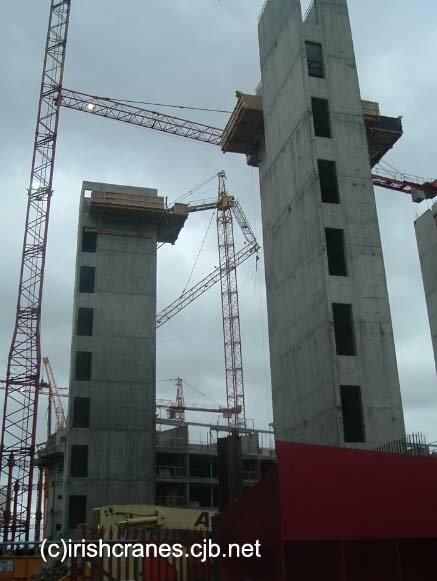 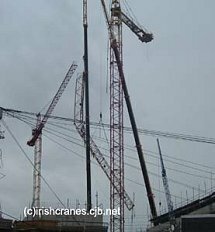 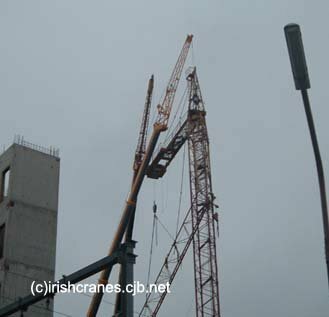 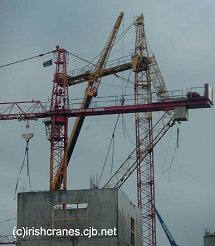 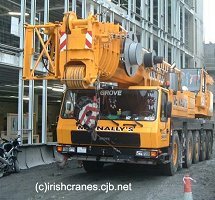 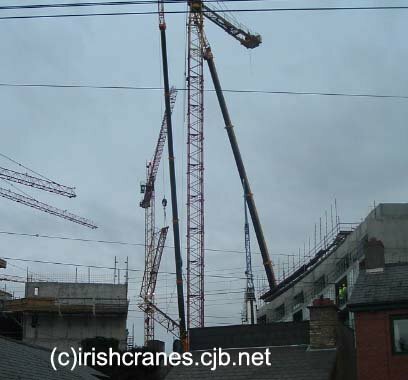 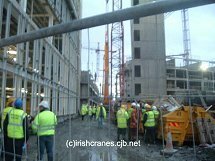 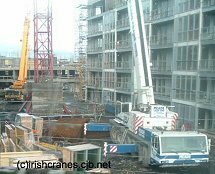 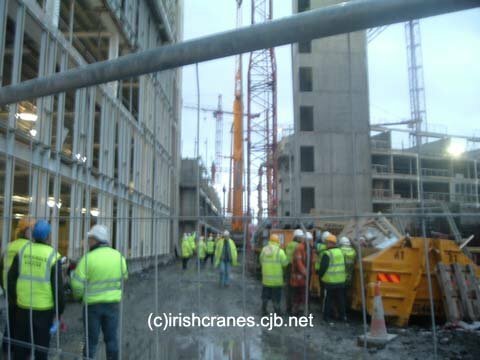 An official reason is yet to be given and may never be released to the general media, as currently there are over 100 tower cranes at work in Dublin and the public don't want to think that every one of them could fall over! 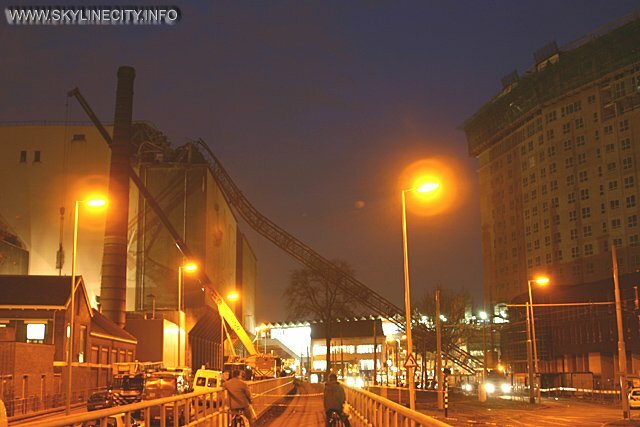 2 December 2003 in Rotterdam. 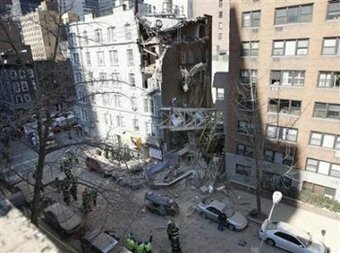 1 man killed and 2 wounded. 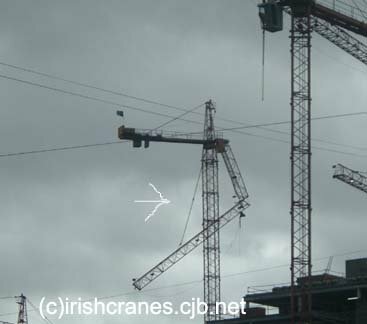 The story goes that several bolts from the Tower crane cranefoot were used and probably over-tightened. 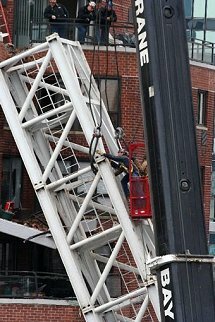 The crane operator survived but was badly wounded. 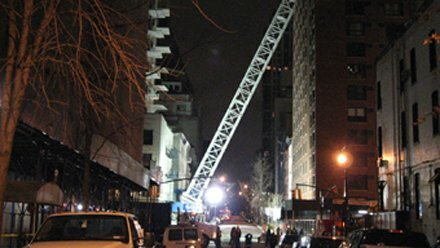 One man who was working down in the building where the crane fell, died. 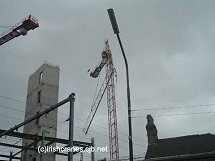 He had nothing to do with the building site. And he was employed with a crane rental company. 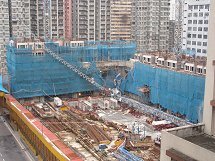 POTAIN tower crane that collapsed on 7th July 2005 at 13:10 local time Hong Kong. 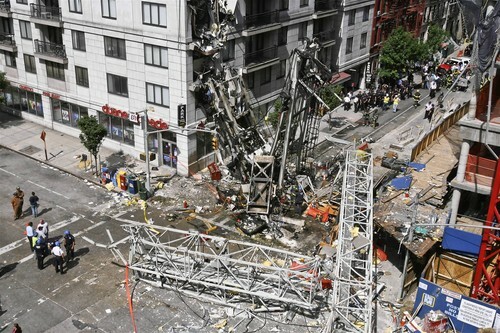 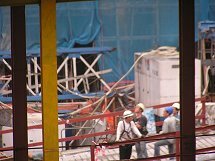 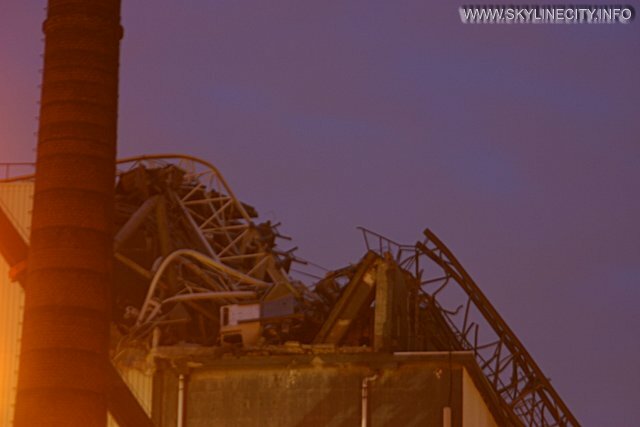 The crane operator was killed, but not one public or site workers was hurt, the bottom section of the mast was broken, contributing factors have yet to be established. 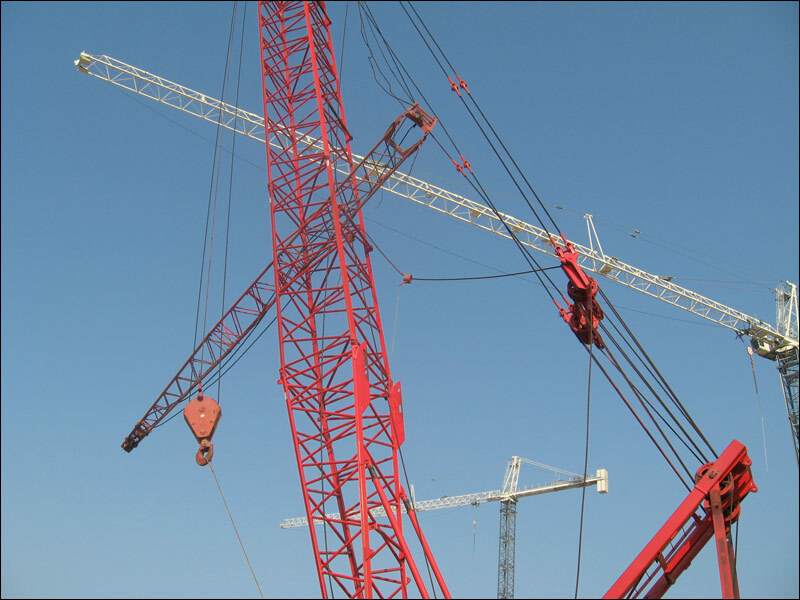 All photos and any other materials submitted to Barth Crane Inspections, LLC ("Materials") become the sole and exclusive property of Barth Crane Inspections, LLC and cannot be returned at any time. 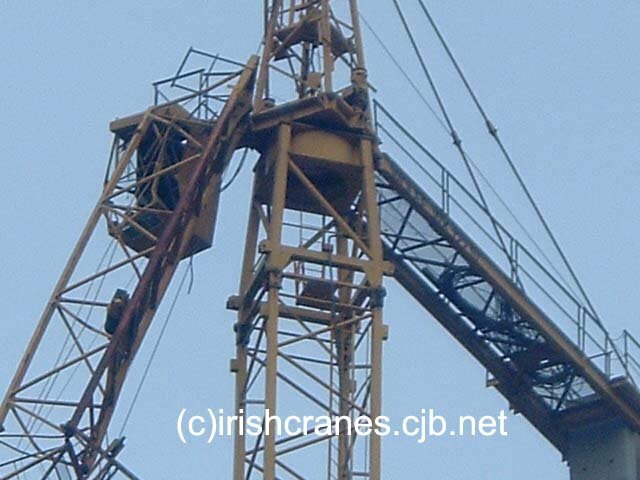 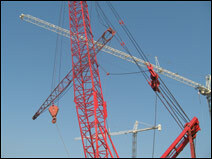 By submitting Materials, you agree Barth Crane Inspections, LLC may, but is not obligated to, use the Materials in connection with Barth Crane Inspections, LLC, in any way, in any medium, worldwide, in perpetuity. 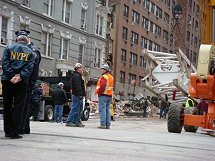 Further, you warrant all Materials are 100% original and do not violate the right of privacy or publicity of, or constitute a defamation against, any person or entity; that the Materials will not infringe upon or violate the copyright or common law rights or any other rights of any person or entity; that there are and will be no encumbrances, liens, conditions or restrictions whatsoever upon or affecting such Materials; and that you are at least 18 years of age. You agree to indemnify Barth Crane Inspections, LLC and all associated parties for all damages and expenses (including reasonable attorney's fees) arising out of any breach or failure of the warranties made herein.